ALL Assisi webinars are recorded for easy playback at NO additional charge. Playback is easily accessible at any time on your computer. Fresh Insights into Classics of Literature and Film! There's nothing better than a sun-filled day at the beach with blue skies, the ocean and...a great book! While we can't bring you the blue skies and ocean, we can bring you some innovative depth psychological insights into some of our most loved literary and cinematic classics. In a contemporary culture of "fake news," where truth seems to be in short supply, we will be looking at the archetypal journey for truth as presented in the classics of literature and film. This quest for truth is a significant part of the hero's journey as delineated by Jung and Joseph Campbell. It is an archetypal pattern symbolic of the inward journey psyche and soul call us to as part of the individuation process. We are offering a special discounted price for an exceptional opportunity to learn with internationally recognized scholars as they share their insights on a few of their most loved film and literary classics. So we invite you to get comfortable in your favorite beach chair, with your favorite Summer beverage and join us for this Summer Webinar series. Call us today to register easily over the phone! Often it is the love from and for another that provides the greatest healing. This true life story, is a telling of an individuals decent into an unspeakable and torturous world. Living both as a tortured prisoner of war, and then after his release, as a prisoner of his now inner world, he relentlessly struggles to find his footing in a world that has betrayed him and all that he believes in. Until one day of grace arrives in his life and he meets a woman who he immediately falls in love with, and eventually marries. However, unlike many of our fairytales and Hollywood stories, there is no easy transition from the world of the prison camps to a life of marital contentment. While his wife loves him dearly, she too is brought into his hell, and wonders how much their love can carry. It is her love for him that compels her to search for the truth behind his terror. He has never left the field of terror, nor the field of madness, and has lived possessed by both. Until, he realizes that he has to make his return to the actual camp, and in doing so, doesn't know if he will ever return to the one he loves. It is her love for him that carries over thousands of miles back to the Orient and back into the psychic and literal field where these travesties occurred. He does return, not only to his home, to his wife, but to his own soul. It is this couples embrace upon his return that conveys to us the immensity of being loved, and what such a love empowers us to do. Foundation of New York, and for many years served as a Senior Associate faculty member in the Doctoral and Master's Programs in Clinical Psychology at Antioch New England. A pioneer in the field of matter-psyche studies, Dr. Conforti is actively investigating the workings of archetypal fields and the relationship between Jungian psychology and the New Sciences. He has presented his work to a wide range of national and international audiences, including the C.G. Jung Institute - Zurich and Jungian organizations in Venezuela, Denmark, Italy and Canada. Recently, I looked up "archetype" on Google, not because I do not know what it means and has been used for but to see how it was described online. I was shocked to see that the biblical Abraham is considered "the archetype of faith" - the "quintessence, essence, representative, model, embodiment, prototype, stereotype, original, pattern, standard, paradigm" of it because of his willingness to sacrifice his son in obedience to a command from God. I was also shocked when I first heard the story as a third grader and have spent most of my academic life trying to get behind it. In this discussion I will argue that the story told in Genesis 22 and in Sura 37 of the Qur'an a) gives power to the concept of God at the foundation of the three "Abrahamic" religions - Judaism, Christianity, and Islam, and b) that it incorporates notions of gender, kinship and procreation that are the foundation of a patriarchal society. Finally, I raise the question whether this is the model of God, faith and society we want now. The setting is Paterson, New Jersey. The text that rests behind the plot is the American poet, William Carlos Williams' modern epic, entitled Paterson which has become a classic of American Literature. One of the main characters is named Paterson (Adam Driver) who drives a city bus and writes poetry at every opportunity. His wife, Laura (Golshifteh Farahani) stays at home and creates her own world through painting, clothes making and inventing herself as a country-western singer. The turning point in the film occurs when their pet bulldog, Marvin tears to pieces Paterson's poetry journal while the couple is out to dinner celebrating the sale of all of Laura's black and white frosted cupcakes at the weekend bake sale. he has no other record of them but what he wrote down longhand. Defeated, he goes one Sunday morning to sit by the Passiac River and is visited by a Japanese poet who wanted to visit William Carlos William's home in Paterson. This man becomes the guide that leads Paterson back into the joys of creating original poetry. Through this intermediary, Paterson's quest for truth through the particular things of the world is rekindled. Dennis Patrick Slattery Ph.D., is a core faculty member at Pacifica Graduate Institute who helped shape the development of the Mythological Studies program. He has been teaching for 40 years from elementary to secondary, undergraduate, and graduate programs. 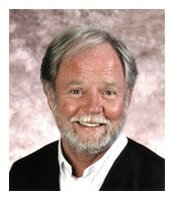 He has received the prominent rank of Distinguished Core Faculty at Pacifica Graduate Institute. His areas of emphasis include the poetic imagination, writing and reading as mythic activities, the relation of psyche, spirit and matter, and the place of contemplation within the academic setting. He is the author of several books including: The Idiot: Dostoevsky’s Fantastic Prince; The Wounded Body: Remembering the Markings of Flesh; Grace in the Desert: Awakening to the Gifts of Monastic Life; Harvesting Darkness: Essays on Literature, Myth, Film and Culture and A Limbo of Shards: Essays on Memory, Myth and Metaphor. With Lionel Corbett he has co-edited Depth Psychology: Meditations in the Field as well as Psychology at the Threshold. With Glen Slater, he has co-edited Varieties of Mythic Experience: Essays on Religion, Psyche and Culture. With Jennifer Selig, he has co-edited Reimagining Education: Essays On Reviving the Soul Of Learning. He is the author of three volumes of poetry: Casting Shadows; Just Below the Water Line; and Twisted Sky. He serves as the Faculty Advisor toBetween, the student literary journal as well as The Mythological Studies Journal, the student on-line journal, both published by the Mythological Studies Program. Jake Sully, a paraplegic war veteran, awakens after six years in cryosleep aboard a giant spaceship on its way to a remote moon called Pandora. Jake has been chosen to take part in a special program developed by a corporate-military company involved in mining the rare mineral "Unobtanium," a potent source of energy that sells for millions of dollars per kilo. To win the hearts and minds of the indigenous Navi people in order to gain their cooperation, the corporation has developed technology whereby a human can link virtually with his own avatar, a genetically-bred human/Navi hybrid. In his avatar body, Jake is able to walk again and breathe in the poisonous atmosphere. On an expedition, he gets lost and must fend for himself amidst the extreme dangers of Pandora. Jake is rescued by Neytiri, a Navi woman, who at first has nothing but contempt for him. When he asks for her help, she tells him to go back where he came from, that "sky people cannot be taught." But she is impressed when tiny luminescent creatures - "very pure spirits" known as the "seeds of Eywa" (the Navi Mother Goddess) - land on Jake en masse. Neytiri takes him to meet the elders who assign her to teach him the Navi ways. Neytiri is a stern taskmistress but Jake is an avid student. The two come to develop a deep respect for one another...which inevitably turns into love. By opening his heart, he sees the truth about Pandora...and the military/industrial complex that has been employing him. And he is willing to make the ultimate sacrifice to fight for his Truth.